The female Dawn Jogger came east with a special package earmarked for the top of the reservoir. This had been a favorite run of both DJs – mostly done separately while on business trips to New York. Last year, the male DJ was walking well enough to make one final trip around. 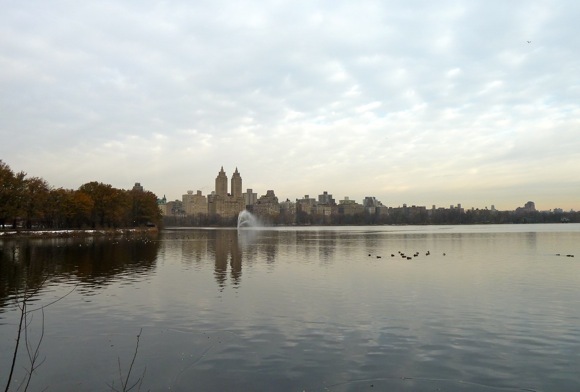 This entry was posted in Dawn jogging and tagged Central Park reservoir, jogging in New York. Bookmark the permalink.